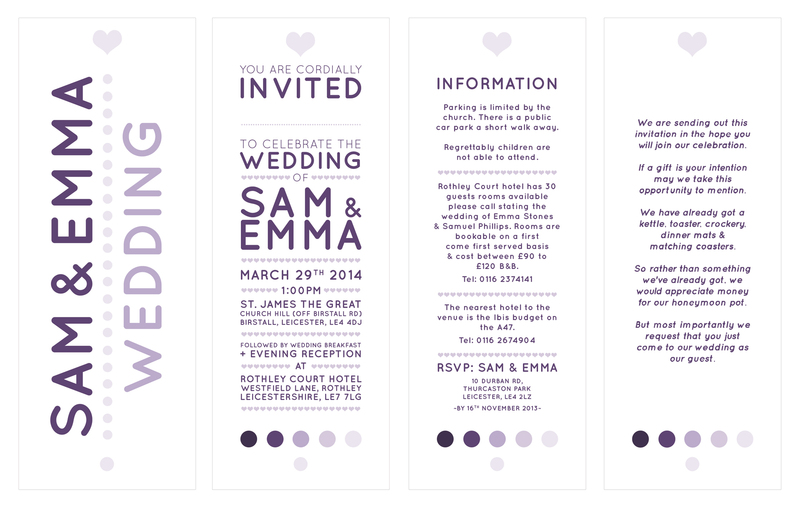 Here’s a set of wedding invitations I was asked to design for a colleague. I was given the preferred colour scheme and this is a fan-open set of 4 leaflets, attached with a golden bind at the bottom circle. Usually leaflets fan open at the top but we decided to bind at the bottom so all the text will be legible and the recipient can hold it better whilst reading. I will try to upload a photo of the finished invites once they are printed.